Pastor John Gray has laid his burdens down in front of the world. 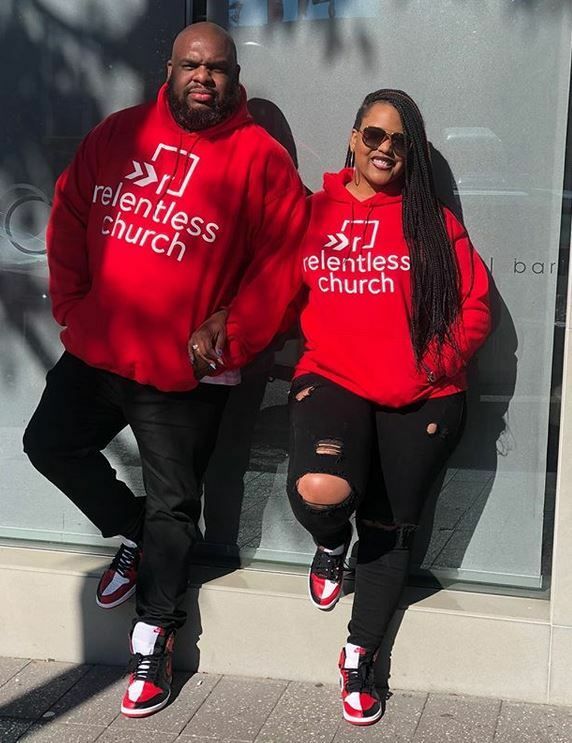 During a recent church sermon, Pastor Gray – senior pastor at Relentless Church in Greenville, South Carolina – seemingly confessed to stepping out on his marriage. And he did so in the pulpit with his wife, Aventar Gray, by his side. He talked about how over the last two years he and his wife were headed towards divorce. He said they kept a happy family front even though they were not on one accord. "We had to keep smiling because even though we were struggling. Even though I was failing as a husband, I was already in front of the people and the people can’t really receive my brokeness becasue where do leaders go when they bleed?" he said to the congregation. "So I had to bleed alone. And what’s strange is I traveled the whole world and the Holy Ghost showed up and people got saved and me and wife just kept smiling and nobody knew we were getting ready to get a divorce. Because as long as I kept producing, nobody cared what was happening at home," he continued. "I started listening to the wrong voices and let some people get too close. She found out and she set it off, just like a good wife should." Then, his wife grabbed the mic to defend her husband and marriage while dropping a few more deets about his infidelity. "And then I prayed for them and him and then the devil loses," she said. "Because what’s not going to happen is you tell me that I’m going to lose my purpose because someone whispered to a ’16-year-old John’. The devil is a lie. I’m standing with my husband and you can go on back to the pits of hell where you came from. Was I upset? Yes. Was I heartbroken? Yes. But, you better learn how to get in there for the – what’s the vows? – better and worst so when the worst shows up you don’t run way." "I am the RIB that God took from him. I’m his Rest In Brokenness until he wakes up and understands who he is. You pray wife while the devils run away. I’m not saying sit there in perpetual foolishness, I’m saying to pray the devils away. If you give up too soon, he wins. He couldn’t have this purpose. He knew what this was. He was coming for y’all, that’s why he came for us. We know better! I see you devil, but you don’t want it with me! You can’t have this here devil!" Aventar’s message doesn’t surprise us. 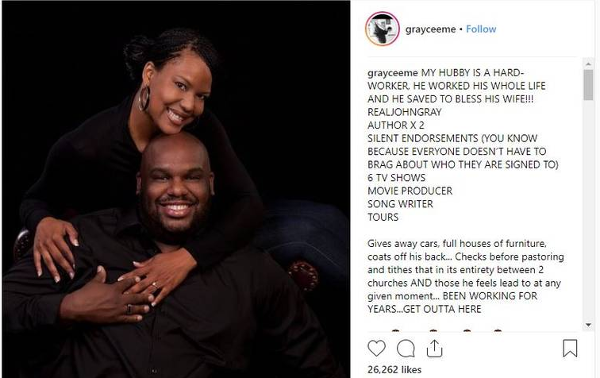 A few months ago, Pastor Gray opened up about how his wife "birthed" him and kept him "covered" as he grew into a man. He talked about how she had to self-sacrifice to make him better since he wasn’t ready to be the husband she needed him to be when he asked for her hand in marriage. Better her than us. Because Michelle Obama said marrying a fully formed man is the way to go. 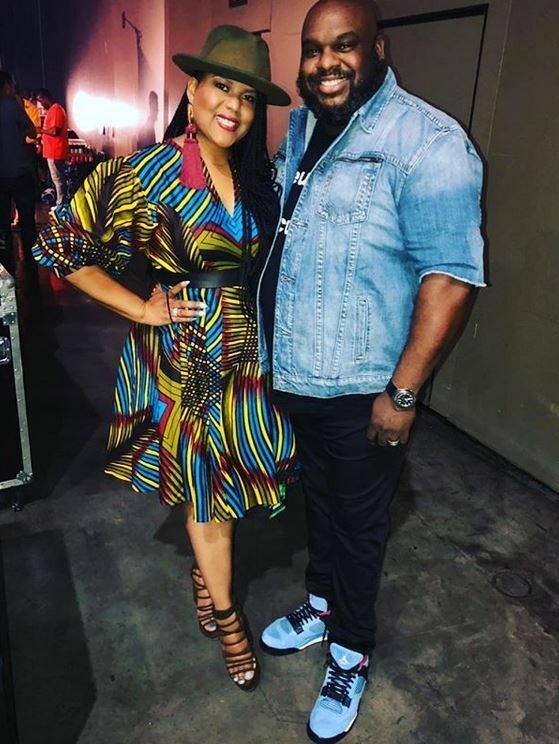 Last month, Pastor Gray gifted his wife a $200K Lamborghini SUV for their 8th anniversary and folks now think he copped her the luxury gift to say "sorry" for (allegedly) cheating. Also, Pastor Gray is being accused of using church funds for the big purchase. However, he denies it all. He insisted he used cash from his reality TV show on the OWN Network for the vehicle. We are not confirming or denying, just letting y’all know what is being alleged publicly. You can read the alleged side chick’s full account here.